See also the Harlequin Ladybird page. 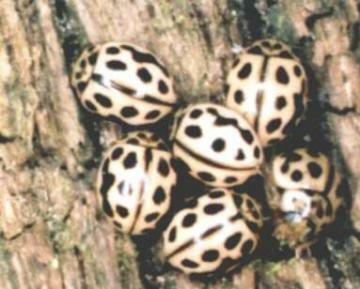 The 2 spot Ladybird is very variable in colour and pattern, occurring with a red or black background and with variable spots or markings. 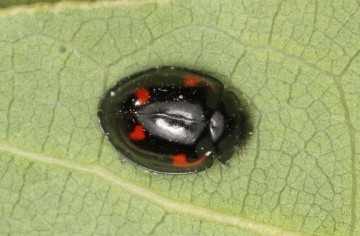 The 'standard' form has 2 black spots on a red background. The picture shows a standard and a common melanic form. 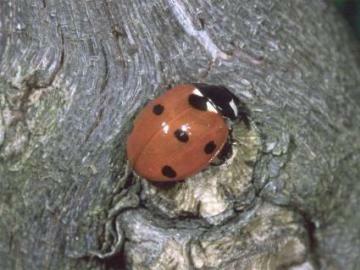 The 7 spot Ladybird is a relatively large species (7mm+), with 7 black spots on a red background and with black legs. 14-spot Ladybird. Note the irregular oblong or squarish rather than round spots. The black markings may join into larger black areas. 16-spot Ladybird. 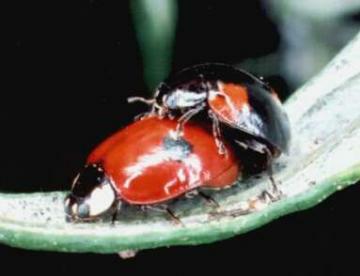 This is a small ladybird, often found on the ground and at the base of plants rather than higher up on vegetation. Note the joined outer markings. 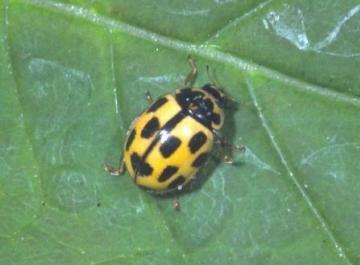 22-spot Ladybird. 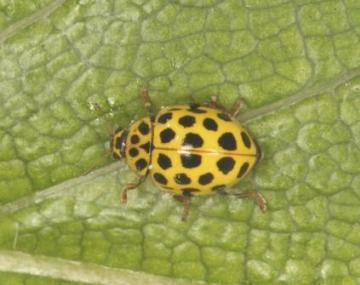 A yellow ladybird with round spots. Save your records for 22 spot Ladybird.